He couldn't dismiss the tone of those two small words, nor could he ignore the magnitude of emotion clouding her expression. He had no choice but to relent. "Sit down," he murmured. He closed the door of his office and then returned to perch himself on the corner of his desk. He steeled himself before asking, "What's on your mind?" She seemed to shrink a little as a thousand thoughts ran though her head. Seconds passed, and still she didn't speak. Lucas witnessed the phenomenon almost on a daily basis. The people who wound up in his office often felt as if they were carrying the world on their shoulders. He knew her anxiety would eventually discharge, and from the looks of it, he wouldn't have to wait long. Finally, she pressed her hand to her chest. "I can't breathe." "Relax. Do you want some water?" She shook her head, a lock of her long, platinum hair falling over her forearm. "No. I need to get this out. I promised you I'd hurry." He couldn't keep his brows from arching a fraction. She hadn't kept her promises in the past. Why would he expect her to now? Tyne ran her tongue along her full bottom lip, hesitated another moment, then blurted, "I need a lawyer." Lucas closed his eyes and stifled a sigh. He could have guessed as much, of course. He'd worked hard to get himself into the privileged position of being able to pick and choose his clients. The last person he wanted to represent was Tyne Whitlock. Common sense told him Tyne wasn't attempting to flatter him. She was speaking purely out of desperation. "Look, Tyne—" Something made him stop. He sighed, and then he stood, taking his time rounding his desk and sitting down. The leather-upholstered arms of the chair were cool and smooth under his fingertips. "I know some of the best attorneys in the city." He plucked a pen from the cup on his desktop. "And many of them owe me a favor or two." He reached into his inside jacket pocket, pulled out one of the business cards he always kept handy, and turned it over, poised to write. "Let me give you some names and numbers—"
"I don't want just any attorney." Her chin lifted. "I want you. Why else would I have come here?" His gaze lowered to the small white card in his hand. With much deliberation, he set down the pen and the card, and then he looked her directly in the eyes. Every muscle in her body appeared board-stiff. "Listen to me—" he kept his tone calm "—when people find themselves in trouble with the law, or victimized, or wrongfully sued, or unjustly accused, they tend to get lost in a strange, I don't know, franticness. A recklessness that they almost always regret. Believe me when I tell you that no situation is hopeless, and circumstances are rarely as desperate as they might be perceived. Whatever trouble you're in, don't let panic and fear haze your thinking." "I think I do," he rushed to assure her. "I see it every day. Honest, hardworking people finding themselves in dire straits. And this unfamiliar territory throws them. They grasp at help from the first source that comes to mind." "Just like that old adage warning that only a fool acts as his own lawyer, it's also foolish to choose an attorney in haste. You and I have a past, Tyne, and even though all of that took place years and years ago, the fact remains that we have a history. I don't believe I would be the best person to represent you in a court of law. You need someone who'll be totally unbiased. Let me give you some names. I'll make some calls for you myself—"
"Stop!" She lifted her hands and scooted to the edge of the seat. "You don't understand. And I can't make you understand if you won't shut up for a minute." His eyebrows arched and the frustration in her statement had him leaning back a bit. She frowned. "I'm sorry. Really, I am. I had to stew all day yesterday." She fisted her hands in her lap. "I didn't expect to reach anyone on a Sunday, but do you know that your firm doesn't offer an emergency number on the answering machine?" She exhaled with force. "I'm a nervous wreck just being here. Seeing you. But all that aside, I shouldn't have snapped at you. Please accept my apology." He didn't react, didn't move. He just waited for her to continue. "The thing is… what you need to know…"
Once again, she grew terribly cautious, and Lucas found that extremely curious. What the hell was it she found so hard to tell him? What kind of trouble was she in? She blanched, but then her spine straightened. "I'm not the one who needs a lawyer. I want to hire you, yes. But I'm not the one needing representation. It's my son who's in trouble." A nerve at the corner of her eye ticked, but her gaze never veered from his as she added, "Our son, Lucas." Award winner for Best Single Title, a Desert Rose Golden Quill Award finalist, and a Golden Heart finalist. Her books have sold over 3.6 million copies worldwide and have been published in nearly two dozen languages. 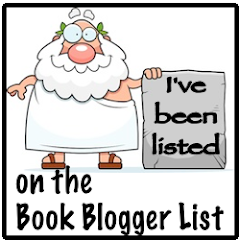 Her books have made the Kindle Top 100 Paid List numerous times, climbing as high as #17. What was your favorite part of this book to write? Which part was the hardest? I really enjoyed writing the love scenes. In my sweet romances, all the 'spice' takes place behind closed doors. So this was very fun. And which part was hardest? The "kitchen love scene" (naughty pun intended!). When you were a child, what did you want to be when you “grew up”? I wanted to be a teacher. My aunt attended college and earned her teaching degree. I always idolized her. Teacher. I love kids, and I often include them in my stories. I always say that children are very honest and outspoken. Kids inject a great deal of fun into a book. Give your fans three fun facts that they may not already know about you. My reading tastes are crazy-eclectic. I read anything and everything. I'm a little on the chubby side. Depends. If we're talking ice cream, then vanilla… and I love mine topped with sliced banana and warm caramel sauce. If we're talking cake, then chocolate, and don't forget the fudge frosting. If we're talking milkshakes, then strawberry. Wow, now I'm hungry. 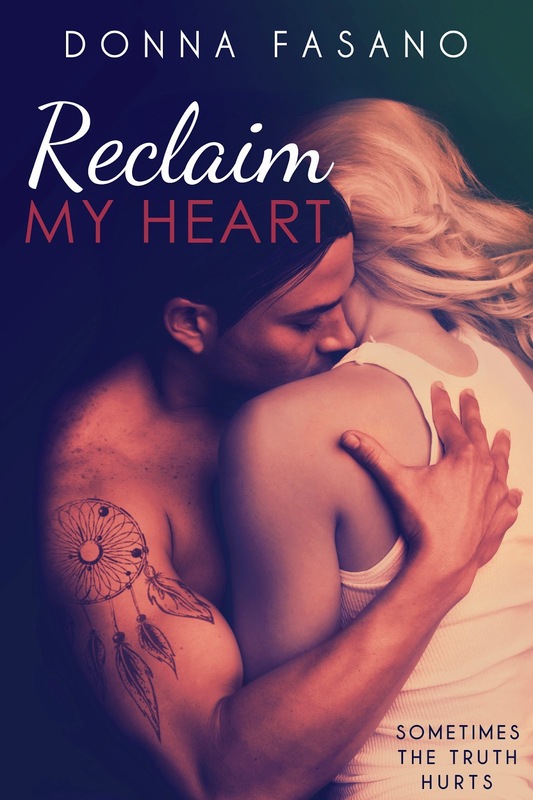 I put my heart and soul into this Reclaim My Heart, and I think it shows… in the characters and in the story. I'm thinking of writing a book that revolves around three friends in different stages of marriage, but I'm not sure yet. I've worked very hard on Reclaim My Heart and I'm going to take a few days off. Then I'll get back to work! I want to thank you for hosting me, and I want to thank your followers for taking the time to read about Reclaim My Heart. Popping in to say hello! Thank you for your help in my Cover Reveal Event!